Jonnie Wild and Brita Granstrom are back with another fantastic title with some of the proceeds going to wildlife conservation charities in Africa - a noble and brilliant cause. 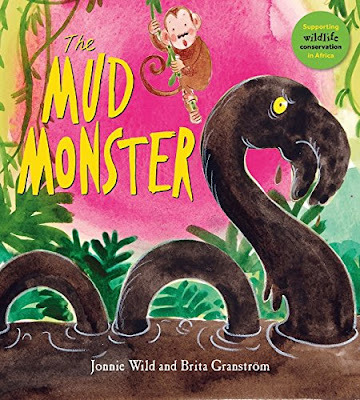 "The Mud Monster" by Jonnie and Brita starts out with a whispered tale echoing through the jungles and plains of a terrifying entity that rules the water hole. No one has actually seen the mythical mud monster, but its reputation quickly spreads. But is this mystical beast quite as menacing as it seems? Find out the mysterious identity of "The Mud Monster" by Jonnie Wild and Brita Granstrom, out now from Otter-Barry Books (kindly supplied for review).